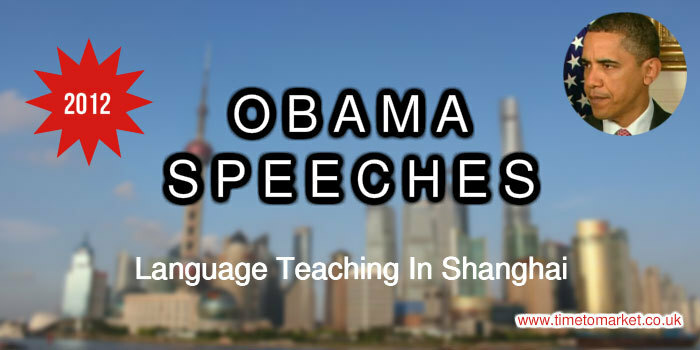 Journalists in Shanghai are reporting that the principal of an English language school in the city has sought a commercial deal with President Obama. The English language school, New Way English, has taught Presidential-style English for two years or so. During classes the students are encouraged to read aloud various speeches given by President Obama. Yes, that’s right, President Obama speeches. Now the principal, Qu Gang, has written to the President seeking a commercial arrangement. He hopes that this allows him to buy the copyright to the Obama speeches. He’s even volunteered a price tag ($30,000 or thereabouts) for the speeches that he feels reasonable. Sounds fair? However, I suspect that he won’t need to pay. That’s because Presidential speeches are public domain material. A reference and a thank you would be more than appropriate. Can he use them? Yes he can. But, his approach to the President has invited a fair share of ridicule in Shanghai. However, it’s a fact that the President’s speeches are well-written. The sentences are short and the words are simple for easy listening. Although we really hope that the students don’t have to declaim his every word. Because that might prove somewhat tiring for an English student. But, they will probably boost speaking confidence among the students. And, of course, any publicity for New Way English has to be good publicity. 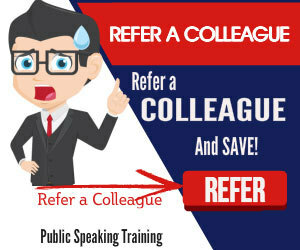 Whilst we might not aim to teach English, we hope that you will discover plenty of our public speaking tips and techniques. We garner all these tips, hints and suggestions from our regular series of training courses and coaching sessions. 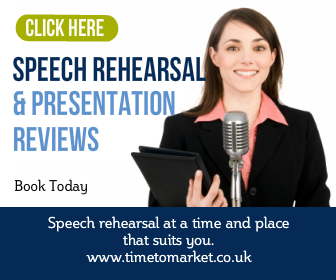 So, when you feel the need to boost your own public speaking skills, please don’t hesitate to get in touch.